A wound, if not treated properly and on time, may cause infections and lower the functionality of the affected area. Turmeric offers a natural solution as it has excellent anti-inflammatory, anti-oxidant, anti-microbial and wound-healing potentials. The wound is an injury that results in the breaking of the skin or other body tissues. It may be an open wound (caused by a tear, cut, stab, puncture, incisions, and abrasions) or a closed wound (caused by damage to internal body cells and organs, beneath the skin). Apart from sharp and rough objects, wounds may be caused by exposure to extreme temperatures (burns and frostbite), acids and chemicals, electric current, radiation, bites, and stings. Symptoms depend on the site and severity of the injury and often present with pain, swelling, redness, and bleeding in the wounded area. The injuries are susceptible to complications like severe inflammation, infection, scarring, and reduced functionality. Wound healing can be accelerated by application and consumption of some drugs and natural substances like turmeric. Turmeric is of the best healing herbs. Let us know more about it (you can skip this section and jump to benefits directly using the Table of Contents). 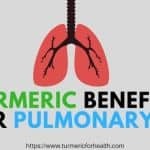 How to buy good turmeric powder? Turmeric has been used since ages as a spice and a medicinal herb in Asian countries. Several species of turmeric are available worldwide, the most common being Curcuma Longa. The rhizomes of this plant are dried and ground to form turmeric powder. Recent studies have affirmed the numerous benefits of this magical herb that were already documented in Ayurveda. 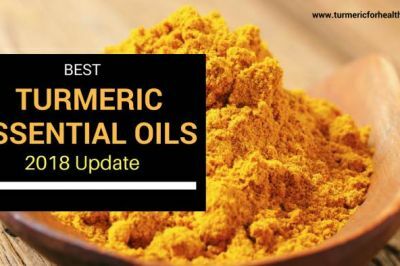 According to scientists, Turmeric and its active constituent curcumin, possess anti-inflammatory, anti-oxidant, anti-cancer, anti-diabetic, anti-microbial and wound healing properties. Let us find out how the use of Turmeric can result in faster healing and recovery from wounds. Turmeric shows anti-inflammatory, anti-bacterial and pain relieving properties which help in the healing of the wound. It also fastens the overall healing process and has no side effects as compared to usual wound healing medications. Inflammation is one of the essential natural processes of wound healing. The swelling and redness observed, is due to the leakage of plasma from damaged blood vessels and accumulation of immune and repair cells at the wound site. 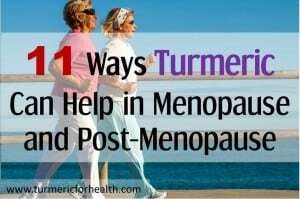 However, this can be problematic if prolonged or excessive inflammation occurs. This can lead to accumulation of toxins and also damage neighboring healthy cells. Turmeric, a natural anti-inflammatory agent may help in controlling severe inflammation of wounds. It reduces the expression of several inflammatory enzymes such as the cyclooxygenase and matrix metalloproteinase enzymes. It also inhibits cytokines like the tumour necrosis factor-alpha (TNF-α) and interleukins (IL-1, IL-10), which mediate the inflammatory process. Turmeric decreases swelling and redness of the wounded area by suppressing many inflammatory mediators. Prolonged inflammation or infection in the wound may cause the development of oxidative stress. This is because the immune cells or microbes start generating toxins in the form of free radicals. These are reactive species of oxygen which damage the normal or injured body cells and delay the healing and repair process. Curcumin found in turmeric is an excellent antioxidant which can prevent cellular and DNA injury to the tissues in the wounded area. It protects from the damage caused by reactive oxygen species to keratinocytes and fibroblasts, which are involved in the wound healing process. Studies further report that curcumin also increases the levels of many antioxidant enzymes such as superoxide dismutase, catalase, and glutathione peroxidase. Thus the application of turmeric can shield from oxidative damage and improve tissue repair. Turmeric increases the antioxidant capacity of the body and protects the body cells from toxins generated by inflammatory processes and microbes. Open wounds are susceptible to infection by various bacteria. The warm and humid environment in wounds is optimum for microbial growth. Infection may further complicate the wound condition and may result in pus formation, fever, heat, delay in healing and in extreme cases, amputation of the body part. Therefore, the protection of wounds from infection is of utmost importance. Turmeric shows anti-microbial activities against many bacteria, including those found on the skin and which commonly infect wound sites. It inhibits the growth of both gram positive and gram negative microbes such as the strains of Staphylococcus, E.coli, Bacillus cereus, Salmonella typhimurium, and several other microbes which form biofilms on the skin and thus, are usually harder to treat. Turmeric disrupts the cell membranes of these bacteria which hampers their survival. 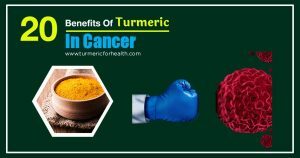 Moreover, turmeric also shows microbicidal behaviour against antibiotic-resistant strains like MRSA (Methicillin-Resistant S. aureus) and VRSA (Vancomycin-Resistant S. aureus). Thus, the use of turmeric may not only help in healing the wound but also protect it from infections. Turmeric prevents the growth of bacteria at the wound site and thus protects from wound infections. The process of wound healing involves many steps: Clotting, Inflammation, Cell proliferation, and Tissue Remodeling. 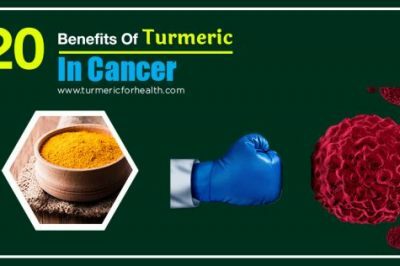 Turmeric is a coagulant and has fibrinogenolytic (fibrin formation) activity that controls bleeding and accelerates the formation of a blood clot just after wounding. It promotes inflammatory mediators (TNF-α) in the early stages of wound healing that helps in concentrating repair cells to the wound site. After that, it decreases inflammation significantly. It increases the proliferation, migration and adhesion of cells like fibroblasts, myofibroblasts and macrophages to the wound site. It stimulates the production of growth factors (transforming growth factor beta-1) and proteins (fibronectin) required for wound healing. It fastens the process of re-epithelialization, where epithelium (a membranous tissue) grows over and covers the wound. It enhances the formation of granulation tissue (a new connective tissue). It promotes neovascularization (formation of new blood vessels) to the wounded area, which ensures proper blood circulation, the supply of nutrients and removal of waste materials. It contributes to wound contraction and early wound closure. It increases the collagen content, which is the main structural protein found in the epidermis. It further promotes the deposition, maturation and cross-linking of collagen at the wound area, which results in improved tensile strength of the skin. In the case of muscle injuries, curcumin can promote cell proliferation and differentiation to form new muscle tissues. 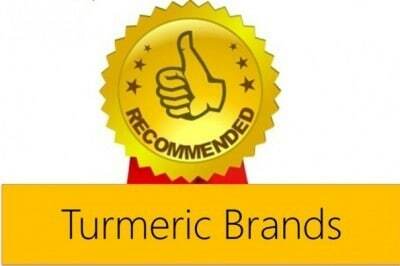 Turmeric shows extraordinary benefits by enhancing every step of the healing process. It fastens coagulation, cell proliferation, migration, the formation of granulation tissue, development of blood vessels, collagen production and tissue remodeling. The cause of the wound determines its severity and the healing agent required. Burn wounds are painful and more susceptible to infection. Conventional treatment involves a combination of antibiotics, non-steroidal anti-inflammatory drugs (NSAIDs), analgesics, anticonvulsants, and anti-depressants. These can have severe side effects. 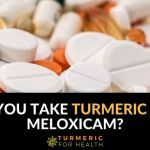 On the contrary, turmeric offers a safer one-step alternative as it helps in reducing the severe pain, inflammation, infection, and burn wound progression, while simultaneously promoting the repair of burnt tissues. Radiation therapy used for the treatment of cancer usually causes skin damage and wounding. It also delays wound contraction and elongates the healing time. 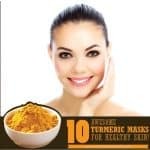 Studies have shown that pre-treatment with turmeric can ameliorate these harmful effects of radiation, reduce dermatitis (skin inflammation) and bring about rapid healing. 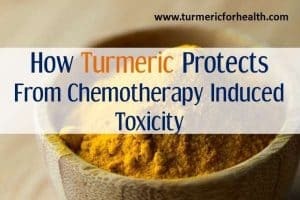 In one such study, turmeric and sandal wool based creams were topically applied to patients of head and neck cancer along with radiation treatment. It was found that the cream significantly reduced the degree of radiodermatitis as compared to control groups. Diabetes lowers blood circulation, collagen production, the formation of blood vessels and the functionality of white blood cells. This makes diabetic wounds prone to infections and difficult to heal. 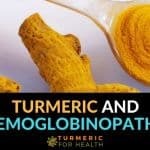 Turmeric can accelerate cell production and migration, collagen content and prompt development of new blood vessels. It can thus contribute to easier wound management and healing in diabetic individuals. Turmeric attenuates pain and inflammation in the case of incision wounds caused by surgical treatments. It contributes to the better healing of the wounds initiated by Caesarian operation and Carbon dioxide laser treatments. It fastens the wound healing mechanism which has been delayed by age-associated disorders and by consumption of certain drugs like aspirin and dexamethasone. Turmeric can heal many kinds of wounds including those caused by burns, radiation, surgery, Caesarian operation and laser treatment. It can further speed up the repair process delayed by age-related factors and intake of certain drugs. Now, when the benefits of turmeric in wound healing have been well-established, the scientists are working on applying it practically by creating novel formulations with improved bioavailability and delivery of turmeric and curcumin to the wounds. Wound dressings, bandages, fibrous mats, hydrogels, sponges and foams loaded with turmeric and other natural healers like honey, aloe vera, Neem (Melia azardichta), etc. have been developed. Moreover, nanoformulations like chitosan microspheres, silver nanoparticles, nanocomposites, and nanofibres ensure better absorption by the body. Turmeric can be taken both orally and topically for healing wounds. There is no specific dosage of turmeric for complete wound healing and repair. However, inclusion in the diet is safe and can prove beneficial. An effective way to take turmeric is with black pepper and healthy fats as the Golden paste. 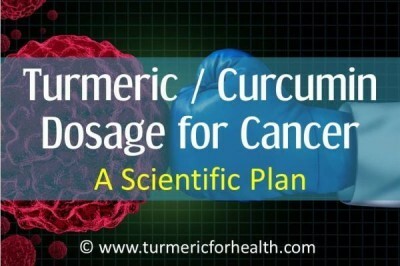 This considerable improves turmeric’s utilization by the body. 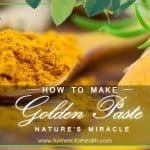 Here is the recipe to make Golden paste using turmeric powder. If using fresh turmeric roots, find the recipe here. Start with small doses of ¼- ½ tsp a day. If no gastric side effects are seen, one can increase the dose gradually by ¼- ½ tsp a week till the ideal dosage of 1 tsp thrice a day (or 1-2 tsp 2-3 times a day) is reached. 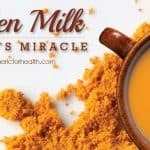 Apart from the Golden paste, turmeric can be taken as Turmeric milk (recipe here) and Turmeric tea (recipe here). It can also be added to soups, curries, smoothies or rice dishes. If opting for turmeric/curcumin supplements, consult a healthcare professional. Topical application of turmeric on wound ensures localized delivery and enhanced absorption of turmeric which then helps in earlier and better recovery. Scientists have developed many formulations containing turmeric to be used topically as wound dressings. 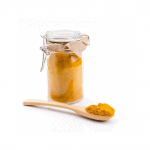 Turmeric has been found to be safe for topical application on skin wounds. However, some people might be allergic to certain spices and therefore, consult a patch test prior, if using for the first time. For wound healing, take sufficient amount of turmeric powder and mix it with oil, preferably olive oil or coconut oil and apply to the affected area. Leave it for at least 30 minutes and if required, cover with gauze. Repeat 2-3 times a day. Avoid turmeric supplements during pregnancy, lactation, prior to surgery and if suffering from gallbladder obstruction or bleeding disorders. Turmeric intake should be limited by people suffering from gout or having a risk of developing kidney stones. In case of bleeding disorders, the inclusion of turmeric in the diet is safe. 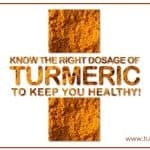 However, it is best to consult with your doctor before using either turmeric or turmeric supplements. 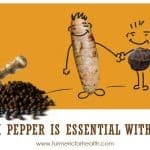 Avoid taking turmeric con an empty stomach to avoid symptoms of acid reflux. Turmeric may interact with some drugs including anti-diabetics and anti-depressants, etc. Curcumin in turmeric has been known to interfere in the process of drug metabolism in the body. Thus, concomitant use of turmeric/curcumin supplements with any other medications should be avoided. A recent study published in the journal ‘Biomaterials’ explored the efficacy of Hyalurosomes enriched with Curcumin in healing inflamed skin and wounds. Scientists have recently developed small vesicles with the help of sodium hyaluronate and Curcumin formulation. Vesicles are small membrane-bound structures present in the cells. They help in the movement of materials into and out of the cells. These vesicles were called hylaurosomes and the purpose was to see if they can deliver the drug to the intact and damaged skin. The preparation did not consist of an organic solvent. Sodium hylauronate and Curcumin were added to soy phospholipids directly to prepare Hyalurosomes and liposomes. Their physical and chemical properties were studied carefully and compared. They observed that these vesicles were small (112-220 nm in size) and spherical. The drug deposition on intact skin was fast with Hyalurosomes. They protected the skin cells on the outermost skin layer from oxidative damage and helped in the regeneration of damaged tissues by the mechanism of cell proliferation and cell migration. It protected the skin from inflammation and injuries caused by 12-O tetradecanoilphorbol (TPA), prevents oedema where water accumulates in cavities and tissues, inhibits the activity of oxidative enzyme myeloperoxydase and restores the damaged skin surface. Curcumin, the polyphenolic curcuminoid of turmeric, is a potent healer of inflammation, wounds, and injuries. Recently developed Hyalurosomes loaded with Curcumin can be promising vehicles to deliver the drug to the skin. The formulation does not comprise an organic solvent. They have the ability to restore the damaged tissues. They protect the skin cells from inflammation and injuries produced by TPA and oxidative damage by suppressing the activity of oxidative enzymes like myeloperoxydase and also prevent fluid accumulation in skin tissues. A very safe and easily available compound, turmeric can thus be used on the skin in case of wounds and injuries for quick treatment. Curcumin inhibits the growth of a large number of bacterial strains. To validate its antibacterial properties, a group of scientists from NMIMS University, Mumbai performed an experiment. The aim of the experiment was to bring into light, the antibacterial activity of Curcumin-amoxicillin combo so that less amount of amoxicillin is required at the time of disease to prevent antibiotic resistance in bacteria. In pour plate technique for checking the anti-microbial activity of a substance, circular zones of inhibition are formed around that substance indicating the absence of microbial growth. In the experiment conducted, the researchers found that both Curcumin and amoxicillin inhibit the growth of bacteria. But, the microbial activity of amoxicillin decreases significantly when it is used in combination with Curcumin. 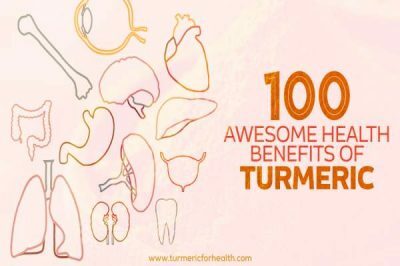 Turmeric is an important spice and a very useful therapeutic. It exhibits powerful antibacterial activity. It can thus, be highly beneficial in fending off a number of diseases caused by pathogenic bacteria like typhoid caused by Salmonella typhi. The research is proof of its anti-bacterial properties. It inhibited the growth of bacteria both alone as well as in combination with an antibiotic like Amoxicillin. However, it was found that the anti-microbial activity of amoxicillin lowered significantly when used in combination with Curcumin. Turmeric has been scientifically proven to promote wound healing. 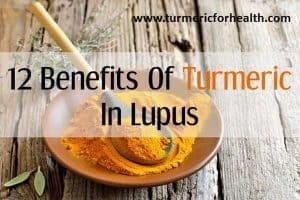 The mechanisms behind this action have also been studied extensively and it has been reported that turmeric carries out this function due to its anti-inflammatory and antioxidant effects. It also has the ability to regulate production and activation of several body cells, proteins, factors and immune components involved in this complex process. With an additional anti-microbial feature, turmeric offers a safer more effective approach to prevent wound infections and facilitate early recovery. Do you put turmeric povvder directly onto vvounds? Hi. Yes in India, it is a common practice to put turmeric powder (the one used for cooking) on wounds. However, if that is not possible you could consider making a paste with organic turmeric powder and coconut/olive oil and apply it to the affected region. Cover with gauze if necessary. Please conduct a patch test first. Alternatively, you could use a turmeric based ointment. I applied turmeric paste on my wound.. but Now the paste is stuck to my skin..
What should I do know? I’ve had several deep cuts, whenever I treat it with a paste of raw honey and turmeric, and seal it so no air will contact, the wound stays moist and protected, heals very fast with little scar tissue. Do not use turmeric on an open wound. Its a waste of time and it causes a lot of excess pain. Better to find an antibiotic ointment or something medically proven to heal and reduce pain. After 3 days of treatment my leg looks and feels much worse than if I had used nothing at all. Hi. We are sorry to hear that. Please avoid using turmeric on open wounds. Also ensure that you use organic turmeric for wound healing after conducting a patch test. Dear sir.. I have 1 round shape deep cuts in my face?…how to I will got normally in my face? 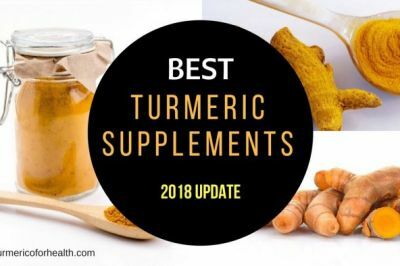 Turmeric cream is good for me? Hi. Turmeric may help reduce the scars and accelerate wound healing but this depends on the age of the wounds. If it is a fairly old wound, turmeric may not be of help. You can apply a paste of turmeric with coconut/olive oil on the affected area 2-3 times a day. Leave for at least 20 minutes and then wash with cool water. Conduct a patch test prior. Also it is advisable to consult a dermatologist about it. 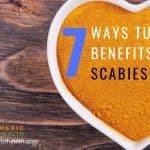 Can I apply turmeric paste (with water water) were I have a spider bitten ?? Will it prevent the entry of poison?? Hi. You can make a paste of turmeric with coconut or olive oil and apply it to the affected area. Conduct a patch test prior. Turmeric does help with insect bites but we do not have any definitive resources regarding whether it would prevent the poison entry. My Aunt has leukemia. I am trying to go to laboratories and asking for a cure. But, they say i’m too young. How can i Make a cure? Turmeric is highly beneficial in wound healing. It can help in controlling bleeding and initiate scar formation. However please use with caution in case of open wounds and deep cuts because it depends on the quality of turmeric used, the condition of the wound and also whether turmeric suits you or no. 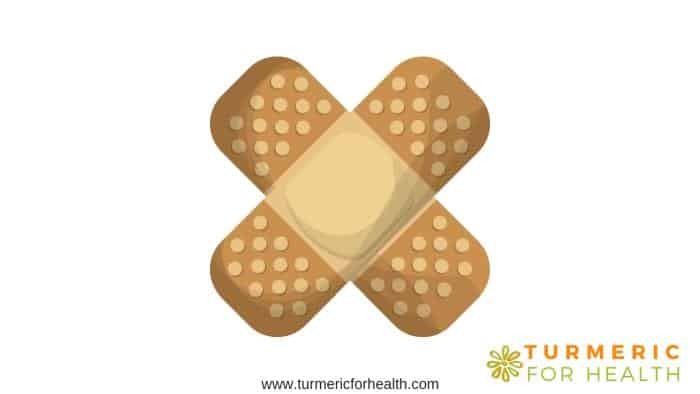 Traditionally turmeric is sprinkled on a wound to control bleeding but it is advisable to mix good quality turmeric in organic coconut or olive oil to form a paste and apply it to a bandage or gauze and then cover the wound. Conduct a patch test prior. Can I apply turmeric on my head if I have got it banged and got some swelling over there? Hi. Turmeric may help in reducing the inflammation and swelling but we can’t comment to what extent it would help. Please consult a doctor about this. hot water poured on my left hand, can i use turmeric? help me for the recovery. Ajeeth you can make a paste of turmeric powder with coconut oil and apply it to the affected area 2-3 times a day. You can cover the area with bandage or gauze and leave it on for at least 30 minutes. This should help in wound healing. Make sure you get good quality turmeric powder and conduct a patch test prior. Turmeric is good for skin and healing rashes and hence should help in heat rash. You can conduct a patch test prior. Mix adequate amount of turmeric powder in olive or coconut oil and apply to the affected region. Leave for 20-30 minutes and wash with cool water. Repeat twice a day. Can it be used on a stage 4 wound that is mostly healed. Can it help speed it up. If so how much of the olive or coconut oil and aloe etc. to use in the paste. Yes turmeric speeds up wound healing. Depending on the size of area affected you can take adequate quantity of turmeric powder and mix it with a few tablespoons of oil and aloe vera gel to form a paste like consistency. There is no specific ratio as such. Conduct a patch test prior. can i use that for open acne wounds? Turmeric is used as first aid in India for treating open wounds. However it would be better to conduct a patch test prior. Also mix turmeric powder in a suitable material like olive oil or yogurt prior to application. Turmeric helps in wound healing. Research does show that is useful in treating scars of caesarean section and keloids, but there isnt concrete evidence available on this. If it is an old scar it mostly wouldn’t help. For topical application make a paste of turmeric powder in olive/coconut oil and apply 1-2 times a day. Please do a patch test prior. It does burn, sting on venous ulcers a lot, is that good? Did it work on your ulcer? If you are experiencing any uncontrollable irritation, please avoid using turmeric topically.